Does anyone know if the 47/CT2 stop by BU Academy is getting eliminated? It doesn't look like it will meld well with the bike lanes. That simulation is so inaccurate. Pedestrians are acutally stopping at the do not walk sign. That doesn't happen in Boston. I think someone mentioned it in a different thread, but people don't follow walk signals because most engineers don't time signals "properly". They are timed to provide flexibility and efficiency for vehicular traffic, while pedestrians are given the bare minimum. This sort of makes sense because cars cause gridlock, but no one really notices a huge queue of bikes or peds. It doesn't create widespread access issues. Anyway, for example, 7 seconds is the min walk time, so typically they will always get that, and just that. The sooner the signal goes to don't walk, the more "flex time" they have available to have the vehicular signals respond to the current traffic volumes. This usually means people are waiting to cross the street when it is perfectly safe to walk.... so why not cross "illegally"? As someone who designs these for a living, this is false. The walk interval (solid white pedestrian indication shown) is an absolute minimum of 7 seconds. To that, we add a calculated pedestrian clearance time which assumes a pedestrian is about to enter the crosswalk and grants sufficient time for them to make it through (the flashing orange hand phase) before the hand indication turns to a steady orange. And on top of that we add a 3 or 4 second buffer before the vehicle phase kicks in to ensure all pedestrians are clear. And on top of that, the calculations are predicated on a minimum 3.5 ft/s walk speed, which can be lengthened when you consider external factors such as if the crossing is used by elderly people or if there is a high number of pedestrians concentrated there at a particular time. I understand your professional description. But you must not be doing this work for the City of Boston, because that is not what happens at many intersections in the city. For example, I can point to numerous intersections in my neighborhood with zero clearance time between the change to steady red hand and a green light for the traffic. ZERO. Also the count-down crossing time for 3 wide lanes of traffic plus two parking lanes is 12 seconds (roughly 50 ft. total therefore short by your calculation). And these are intersections frequented by the elderly and children. One I am thinking of one in particular on Tremont Street that is bounded by a YMCA, an elementary school, a park with a playground and senior housing. Demographics crossing that intersection are pretty easy to estimate. Other cities seem to have figured it out. The walk signals all last as long as the concurrent green, and they always come up on every cycle automatically. It's not rocket science, but Boston seems to be totally unable to figure it out. Exactly, but your statement doesn't prove anything false. The ped clearance (flashing don't walk) is not considered part of the "walk time" as we are discussing it. It is the time provided to finish walking. Boston likes to always set the walk time to the minimum of 7 seconds, even if its concurrent with the vehicular lanes. If you keep the walk time as short as possible, you have more freedom to adjust the green times for cars based on traffic observations. Boston has a traffic management center in City Hall that can change most signal timings. The pedestrian timings though can only be changed in the actual control box and are therefore an annoyance to managing car traffic. Sometimes an approach might have no more cars and you want it to go to red ASAP, but you can't if you then need the crosswalk to enter flashing don't walk. If the crosswalk has already finished its sequence, then you can change to yellow and red immediately. This is only possible if you keep it at its minimum walk time. 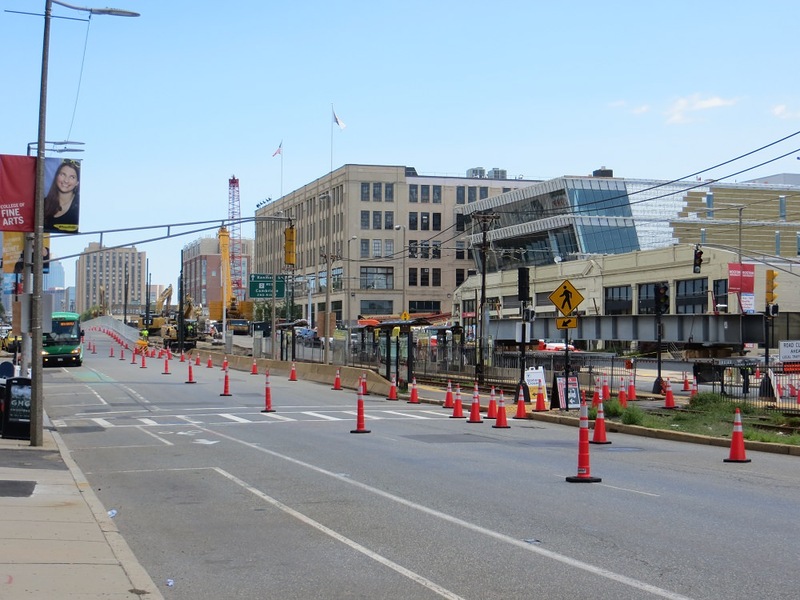 Memorial Drive will be open to traffic on Sunday for the dry run of the detours MassDOT is proposing for the Pike lane closures related to this project. 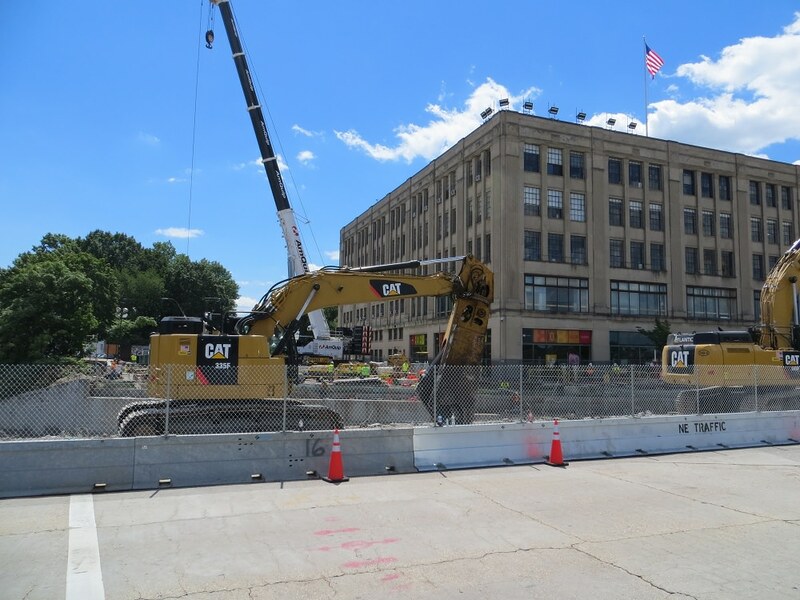 The Pike this weekend will also be dropped down to the 2 lanes that will be open during this project. This weekend is a dry run/experiment of the detours. 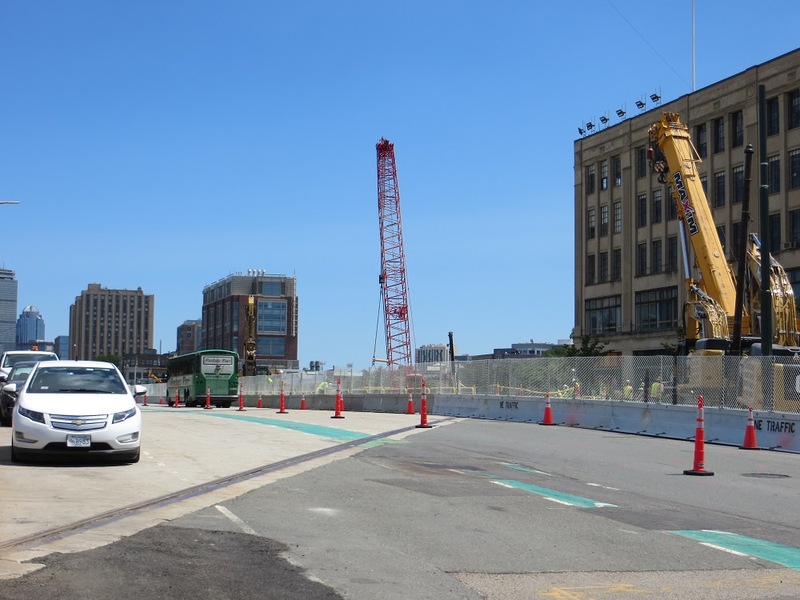 MassDOT and DCR believe they need Memorial in addition to Storrow to handle the traffic flow. This is a pretty awful idea. It's just a Sunday. Traffic is already lighter. Storrow/SFR can handle any overflow. Memorial isn't needed & should remain open to pedestrians like all Sundays in the summer. Last edited by datadyne007; 06-02-2017 at 08:08 PM. 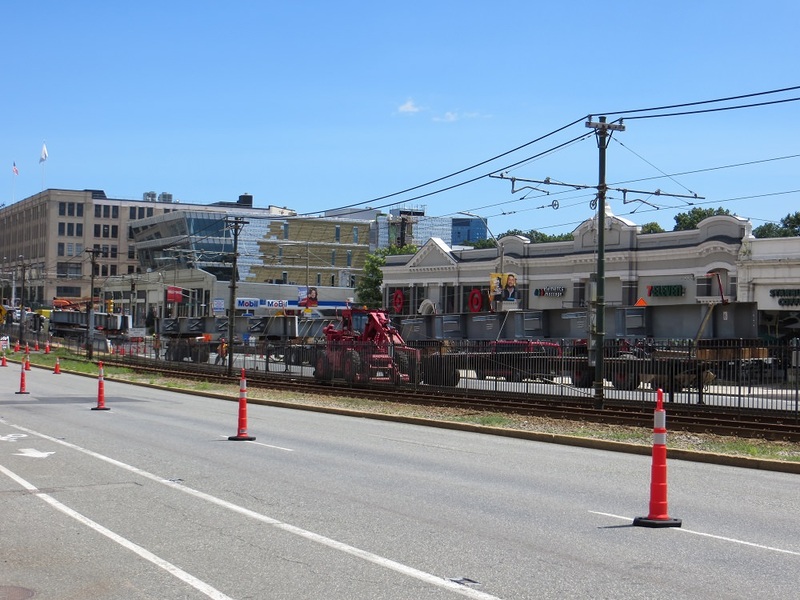 7:00PM on Thursday July 27th: Commonwealth Avenue between Packards Corner & Kenmore Square as well as Boston University Bridge close to private vehicular & truck traffic. 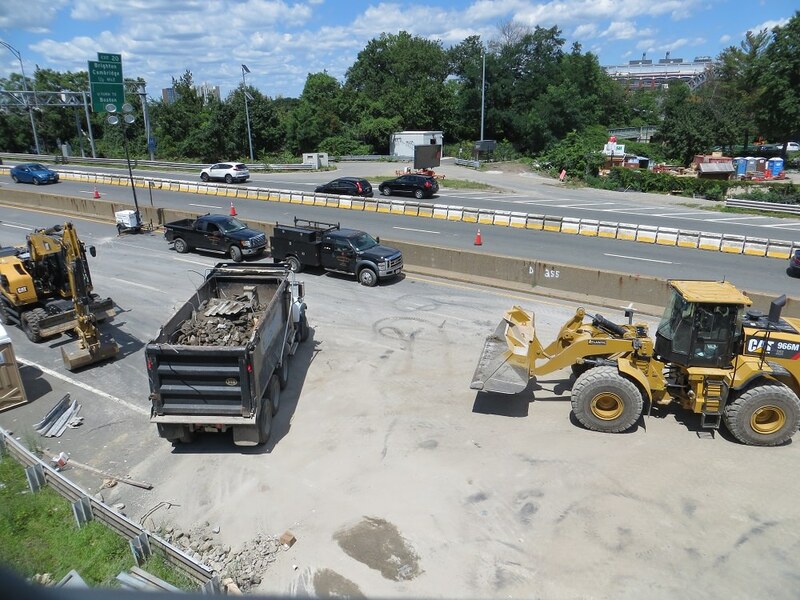 9:00PM on Friday July 28th: I-90 is reduced to 2 lanes in each dirrection and all traffic is diverted onto to the Westbound barrel of the pike. Looks like they are going to have all the new beams in place by the end of the day today. 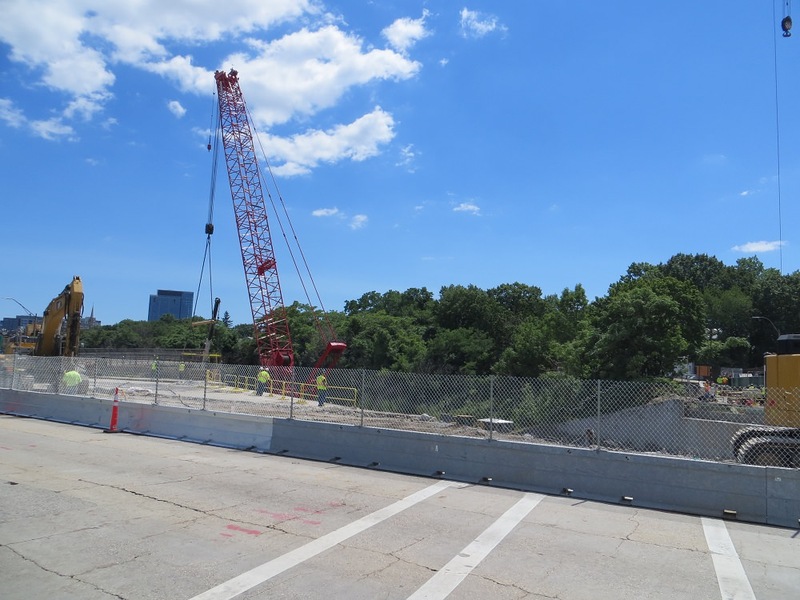 Too soon to speculate that they might re-open the pike ahead of schedule? I may be mistaken, but won't they be at the 2/3rd point today rather than done with the beams? It looks like there are 3 spans to the bridge. One is completely covered with new beams. The other is about half. The third span has not been demo'd yet. I could be viewing this wrong. Oh i see, thanks. Yes looks like they've done the rail and the EB barrels, but the WB barrel is still to come. Tx. Approaching from Agganis - the number of people confused by this sign was astounding. One big support parked on the Pike. Note that inbound traffic is down to a single lane. 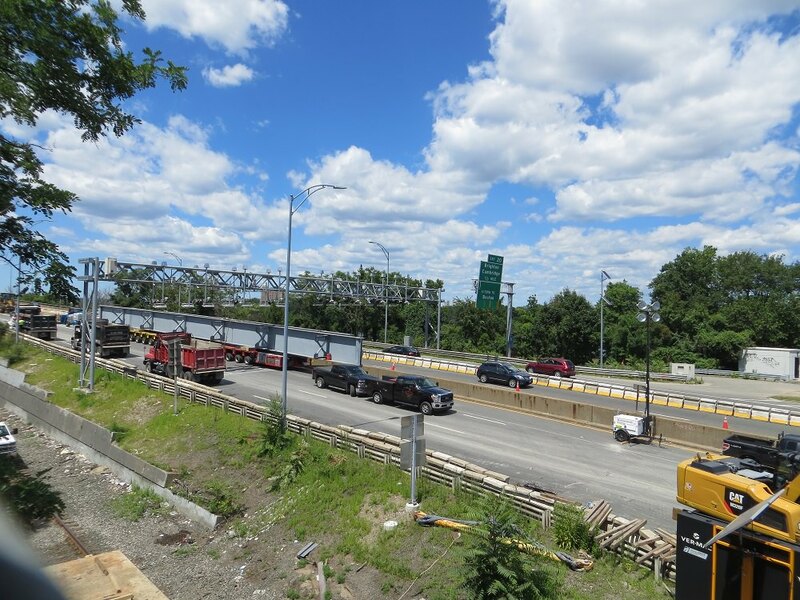 I also assume that the tolls were set up to either ignore the inbound traffic or to play nice with the traffic heading in the opposite direction of the 'primary' camera. Does the MBTA usually use charter busses for replacement service? I've never seen that before when Red is closed north of Harvard. Baker & his cronies are obsessed with contracting everything for the T out to private bidders because PPPs are magic. Under Baker, the T can't do anything on its own. The transit service isn't allowed to be a transit service. Peter Pan & Paul Revere are providing bustitution services for this contract. PP is using their high level buses and PR is using some transit-style buses. 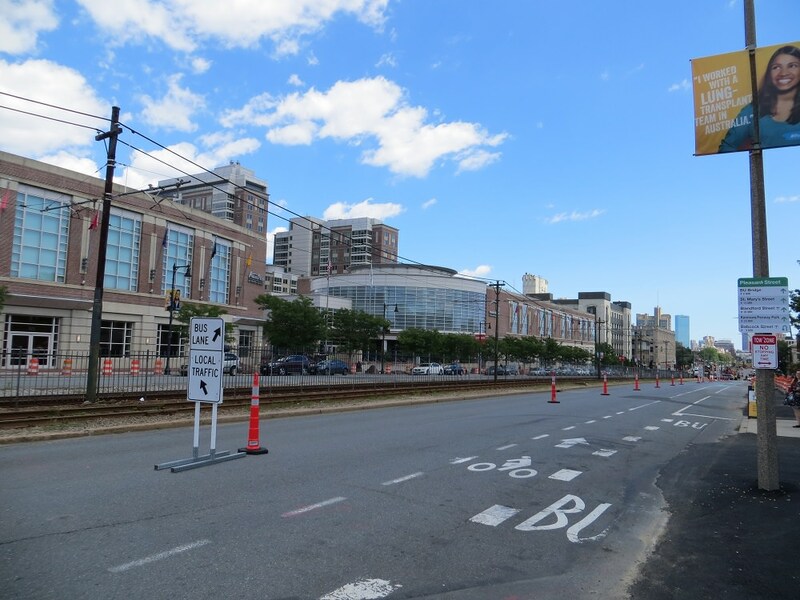 The T literally just finished receiving their 375 new buses in July, which are intended to be 1-for-1 replacements. They could have used plenty of the old buses that were still in fine working order to provide the bustitution. Do they have room to store the old buses in addition to the new ones? Would they have room to store them for use next year as well (less relevant to the question of whether they could be using them right now)? Great pictures, thanks for posting. I always find the staging/organization for projects like this fascinating. And that's an interesting shot of the new BU theater. If they are replacements for the CNG buses, then they don't have spares. The CNG tanks have expired, so those buses are off the road in dead storage.